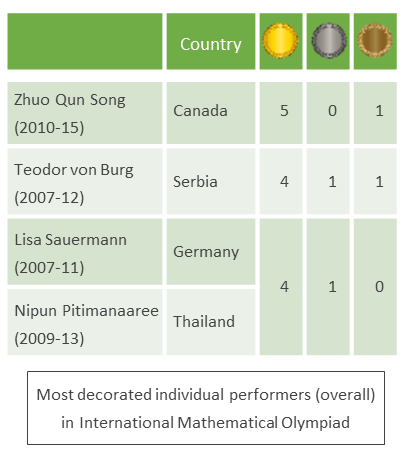 International Mathematical Olympiad (IMO) is unarguably the toughest pre-college test in mathematics. (You’ll see plenty of examples in this post to illustrate this point.) And it’s also the oldest – the first IMO was held in Romania in 1959 – of all International Science Olympiads. Before proceeding further, let me briefly educate you on the format of IMO so that you can easily follow the numbers later in the post. Held once a year, more than 100 teams (or countries) participate in IMO with each team comprising of up to six students. The exam consists of six problems – P1, P2, P3, P4, P5, and P6. P1 to P3 are attempted on day 1 over 4.5 hours. And P4 to P6, on day 2, again over 4.5 hours. On each day, the difficulty level increases from the first to the third question. That makes P3 and P6 the toughest of the six problems. Each problem carries 7 points – partial marking allowed – thereby weighing the entire test at a maximum of 42 points. With that background information with you, here are some interesting facts about Indian performance at IMO since their first participation in 1989. Which countries have been ranked #1 the most? 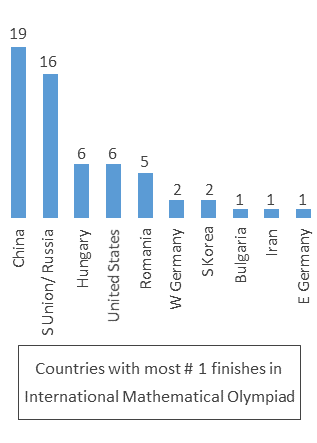 China has finished # 1 an incredible nineteen times. And this is when they participated for the first time as late as 1985. India has never finished # 1, with their best finish being seventh (in 1997 and 2001). There is only one more occasion when India finished in single digit: ninth in 2002. It’s not a fair comparison though. Students from some countries, unlike India, start participating at an early age. Therefore, some of them make many more attempts. 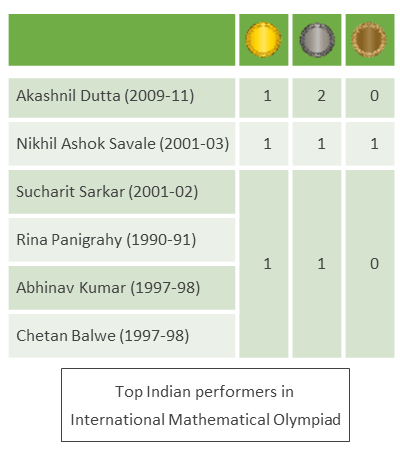 In comparison, the best performance of a 3-time participating Indian has been 24, 22, and 28 by Akashnil Dutta in the year 2009, 2010, and 2011, respectively. This will take your breath away. In the same year, India scored 168 out of 252 (6 times 42). Our best total came in 1991 when we scored 187. Note: The result is in percentile. How do you interpret it? To give an example, Nikhil Ashok Savale finished better than 97.70% of other participants. 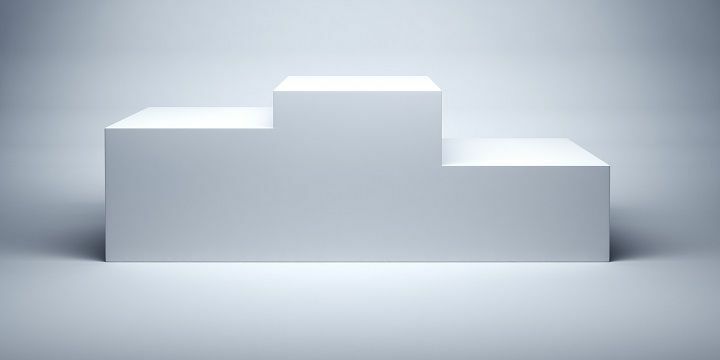 Comparison on absolute points (out of 42) may not be fair because the difficulty level of questions may vary across years. What matters is where did you finish with respect to other participants? 4. No Indian has ever got a 7 in both P3 and P6 in the same exam (some participants represent the country in multiple IMOs). To give a contrast on how tough P3 and P6 are, 11 out of 12 participants in 2016 and 2017 got a 7 on P1. Guess what, the only guy who missed out on a perfect score on P1 in those two years is Deepesh Singhal, the only person to get a 7 on P6 since 2005. He cracked the toughest, but stumbled at the easiest. Adopt Spaced Repetition System. Retain More of What You Study. How to Minimize Silly Mistakes in Exams?